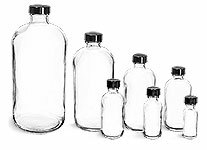 The white PET cosmo round bottles can also be purchased in bulk quantities without caps for greater savings. Click on the Add-ons button for any of the plastic bottles below to view a variety of compatible closure options. SKS offers stylish white cosmo round bottles with matching white lotion and treatment pumps. White treatment pumps are compatible with small capacity cosmo rounds bottles, they come with clear styrene hoods, and offer an output of 190 mcl. 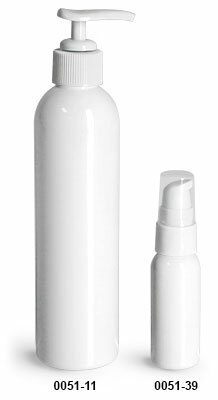 For larger capacity cosmo round bottles, white lotion pumps offer 0.5 ml output. Lotion pumps will include a locking mechanism to eliminate discharge when in transport and storage.